Fiona Keenan, Strategic Insight Director, spoke at our Health and Beauty client event on 10 July in County Hall, London. She covered innovation in the personal care market and how brands can best plan their NPD to maximise the benefit for the manufacturer, and also for the category. Health and Beauty categories are very far-reaching. Over the course of a year the average consumer buys 24 different brands across 15 different markets, but there is still plenty of headroom for growth. 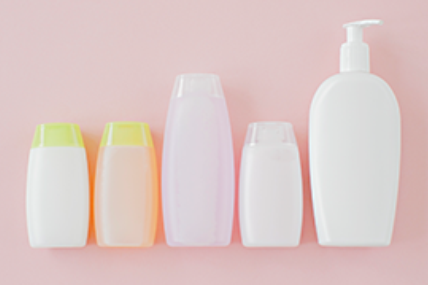 NPD in personal care generated an impressive £350m of revenue for the industry over the past year – representing 4.2% of sales over that time. However, size alone is not the whole picture. It’s also important that any new launch generates incremental revenue for both the brand and category, rather than simply cannibalising existing ranges. Face masks are one of the big skincare trends of the moment and we’ve seen many NPD launches tapping into this, resulting in the buyer base for face masks doubling to 1.4m last year. This is a great example of NPD helping to grow brands and sustain category value. Despite an overall trend towards personal care regime simplification, face masks have found a way to add additional products into our bathroom cabinets. They are also proven to be a successful way for brands to target new shoppers; some 54% of spend on L’Oreal’s Pure Clay masks comes from under 35s, compared with just 10% of their overall skincare range. Our ranking of the top 10 personal care innovations of 2017 lists new launches in terms of sales, and crucially, how incremental they were to the brand and category. In value terms, Herbal Essences Bio:Renew range takes the top spot, bringing in £11.4m for manufacturer Proctor and Gamble. It’s closely followed by another haircare brand, Head and Shoulders Men Ultra (worth £6.1m). However, the picture changes significantly when you consider how incremental those sales were to the overall category. While Bio:Renew was the biggest sales launch of last year, it’s the second last in in terms of incrementality, with Corsodyl Daily taking the number one spot. Price is a key driver of the success of 6 of the 7 incremental launches, demonstrating that consumers are prepared to pay a premium for products they believe offer them something better or unique. The Corsodyl gum health toothpaste retails at 201% of the average price in its category, and still managed to bring in almost three quarters of a million shoppers in the first year of launch at this price. Dove Baby was the most incremental to the manufacturer, having recruited an incredible 2 million buyers in the first year of launch. The brand has good distribution, with presence in all the major retailers, and a steady run of promotions to maximise its appeal to shoppers. 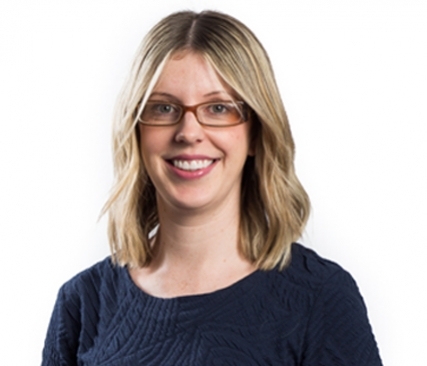 All NPD should have the objective of being incremental – size matters but it isn’t everything. Make sure you’re measuring how much value new ranges bring to both manufacturer and the category overall. Having a unique and benefits-lead proposition will give your shoppers a reason to pay more and minimise the risk of new ranges simply cannibalising existing ones. Ultimately, though, good presence is key. Multiple SKUs will help to give your brand good visibility on the shelf, and in-store promotion will capture shoppers’ attention, giving your launch the best chance of success. 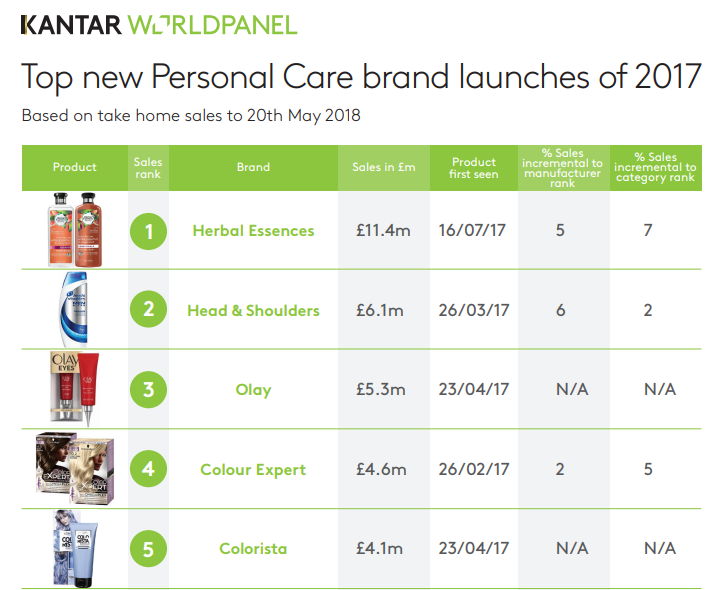 Download our ranking of the top 10 personal care innovations of 2017 today, and get in touch for more information about how Kantar Worldpanel can help you to maximise the impact of your NPD.